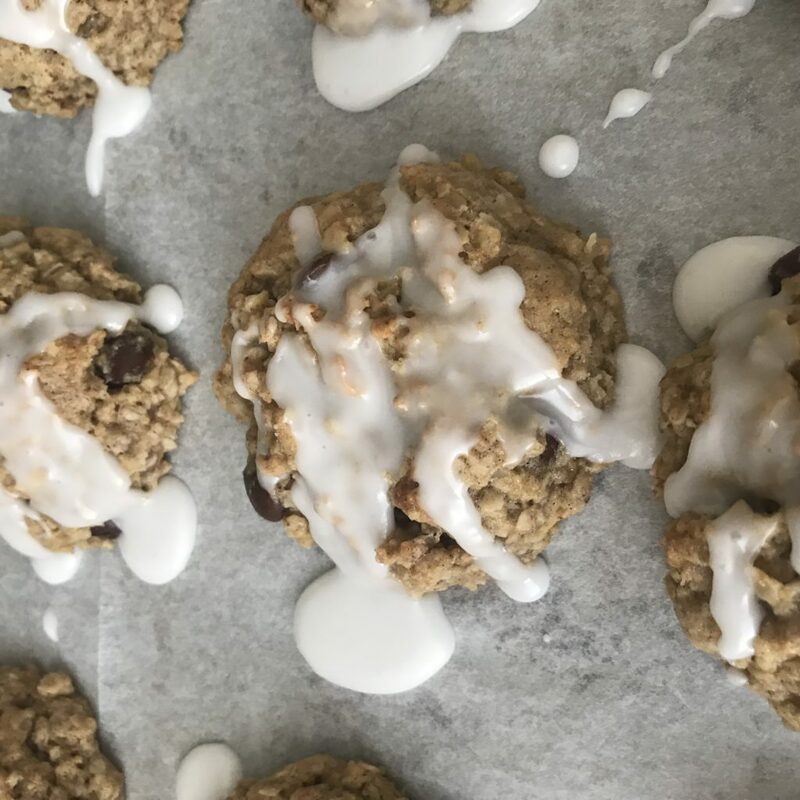 BEST Ever Chocolate Chip Oatmeal Cookies - Kosher In The Kitch! 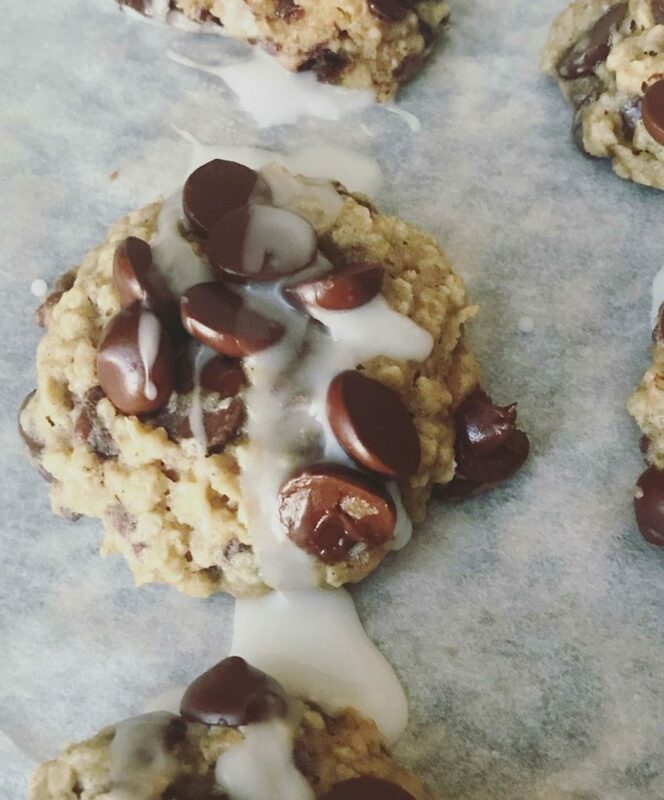 BEST Ever Chocolate Chip Oatmeal Cookies - Kosher In The Kitch! 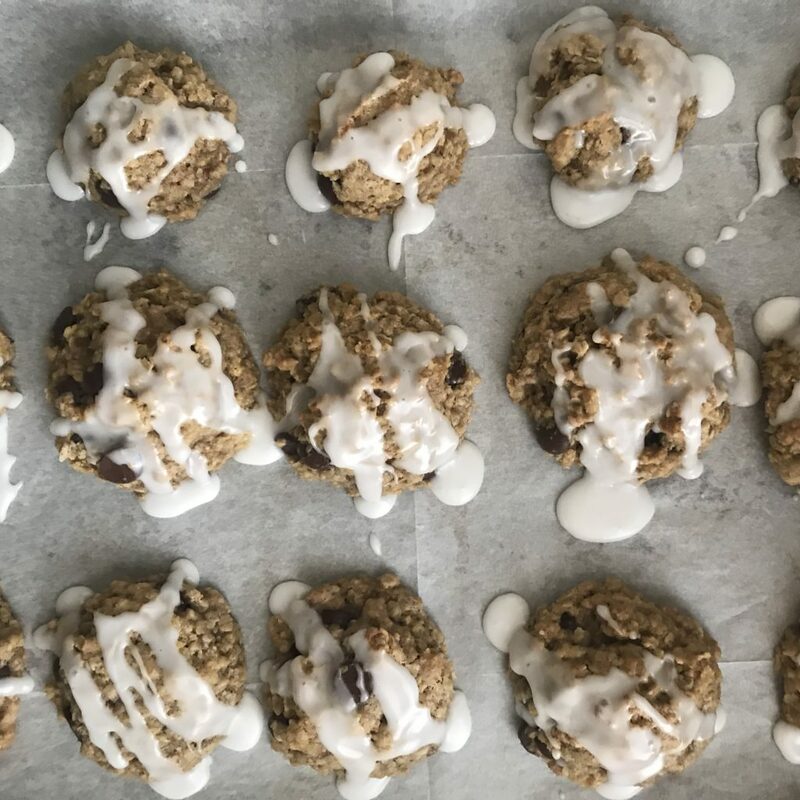 These are the famous Quaker Oats vanishing oatmeal raisin cookies using chocolate chips instead of raisins, with an extra topping of chocolate chips and icing glazed on top. I am obsessed with this recipe and bake them weekly. There is no better combo than chewy oatmeal baked with chunks of chocolate and the sweet icing on top is the perfect finish to this delicious treat. Heat oven to 350°F. In large bowl, beat butter and sugar until creamy. Add eggs and vanilla; beat well. Add combined flour, baking soda, cinnamon and salt; mix well. Add oats and chocolate chips; mix well. Drop dough by rounded tablespoonfuls onto parchment‑lined cookie sheets. Using the additional 1/2 cup chocolate chips, add more chocolate chips on top of each cookie. Bake 10 to 12 minutes or until light golden brown. Cool 1 minute on cookie sheets; remove to wire rack. Cool completely. Store tightly covered. Bar Cookies: Press dough onto bottom of ungreased 13 x 9‑inch baking pan. Bake 30 to 35 minutes or until light golden brown. Cool completely in pan on wire rack. Cut into bars. Store tightly covered. OPTIONAL: combine powered sugar and water to create a thin glaze then ice cooled off cookies. 5 Cocktails to Celebrate National Tequila Day & A GIVEAWAY!Kosher in the Kitch Cookbook: Rush Hour Dinners!